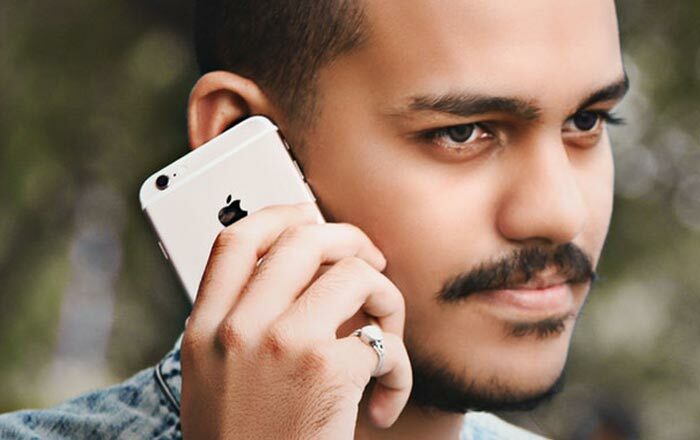 It took the threat of an iPhone ban, but Apple has finally stepped up and allowed TRAI (Telecom Regulatory Authority of India) to release its Do Not Disturb app in the App Store. The anti-spam app lets you block and report unwanted calls and messages on your iOS device. Officially called “TRAI DND – Do Not Disturb,” the app has taken two years to reach the App Store. It’s been around in the Play Store since 2016, but Apple refused to let it in because of privacy concerns. It didn’t want the private call and text logs of its iPhone users to be available to a third party since that violated its policy. TRAI repeatedly tried to resolve this issue to no success. It finally got fed up and made up a new rule which forced telecom operators to derecognize phones which don’t support DND starting from January 2019. This got Apple’s attention and it apparently sent a letter to the authority trying to placate it. The letter mentioned that iOS 12 has a new anti-spam feature which allows users to report annoying texts and calls directly from the Messages and Phone app. An app maker just has to add support for the tool to get going. This appears to be what TRAI has done since its DND app lets you report all telemarketing communications directly from the aforementioned apps. To get started, you’ll have to download the TRAI DND app from the App Store. Next, open the app and register for the service. You can choose if you want to block all calls and SMSes or allow a select few from various categories like Real Estate and Education. It may take up to 7 days for you to get on the list. 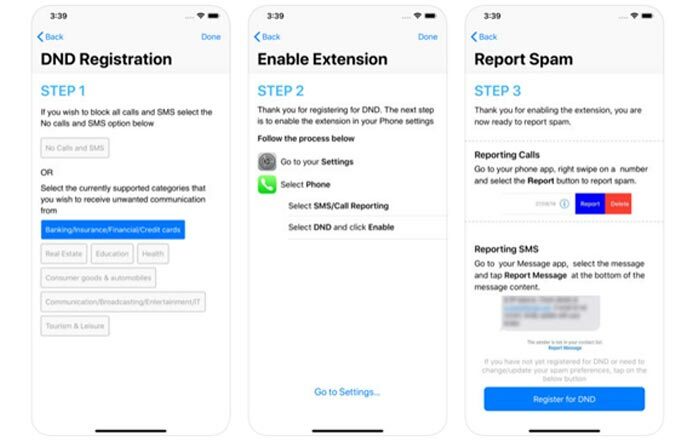 Once this step is completed, the next move is to enable the anti-spam extension in your iPhone by going to Settings > Phone > SMS/Call Reporting > DND and choosing Enable. To report calls, you have to swipe right on a number in the Phone app and tap on Report. To report texts, you have to select the SMS in the Messages app and tap Report Message at the bottom.